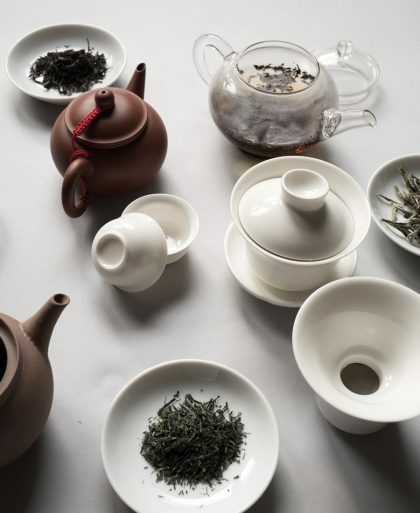 Interested in finding out what’s involved in becoming a certified tea sommelier? I’ll walk you through my experience. What is a Tea Sommelier? You’ve heard of a sommelier, a trained wine professional who has expertise in choosing and recommending wine to pair with your food. A certified tea sommelier is a trained professional who has expertise in tea. 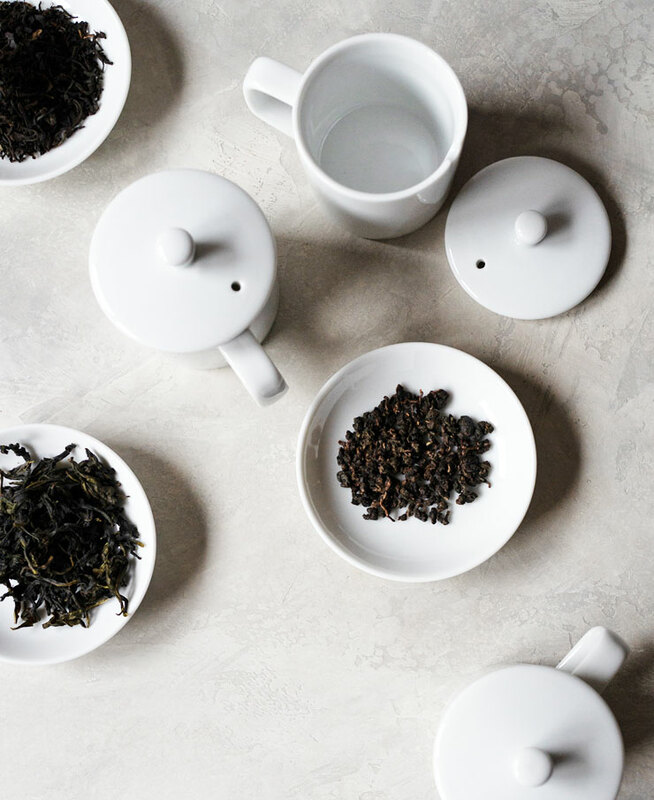 Tea sommeliers know how to identify different types of tea, taste and brew using the proper techniques, and have an understanding of tea and food pairings. The title Tea Sommelier is given to people who have gone through a certification program. A lot of people in tea really dislike the term Tea Sommelier. I think it’s because they think it cheapens the tea knowledge process. Most people who are well-versed in tea learned it through years and years of drinking and teaching themselves about tea. So to some, plunking down a shiny penny or a couple of thousand (certification isn’t cheap!) may seem like a money grab and a shortcut. The tea experts (who will never call themselves tea experts) will all tell you that instead of spending the money, it’s better to learn it on your own by drinking a lot of tea and reading books. I learn best when there’s a structured program and I know there is a good foundation in place. That’s why I got certified as a tea sommelier. I spent a while trying to find the right tea school to get the certification. Most programs average $2000 so it’s not something to jump into lightly. Through my research, I did find that some tea schools are definitely a money grab. I’ve heard some horror stories. I first searched online and found three tea schools in the U.S. As I was getting close to signing up for one, Jo, a tea professional I respect, suggested that I look into tea schools in Canada. So I did. And I signed up for the Tea Sommelier certification program at ITEI, International Tea Education Institute. Fellow tea bloggers Sara and Georgia also signed up too! It was really nice that we got to go through this experience together. After I registered for the course I was mailed a box of items I would need for the course that included tea, teaware, and a binder filled with charts and tea tasting guides. The way ITEI has set up their program is that it’s all done online. This doesn’t mean you watch pre-recorded videos. Nope. It’s more like a semi-private course done through Skype. 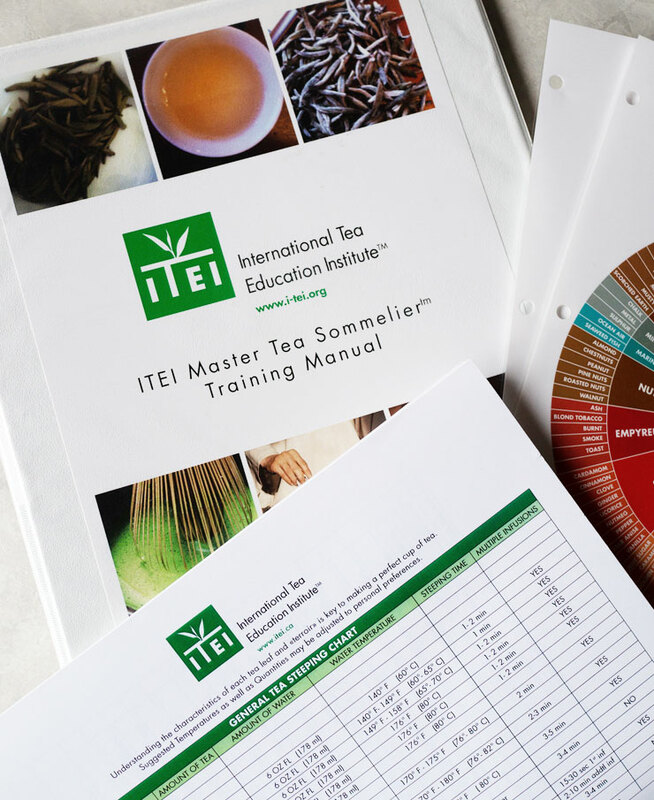 The ITEI Tea Sommelier course is broken up into nine sections or modules, each covering a different lesson. For example, module four was learning about the science of tea tasting while module eight was all about Japanese tea. Each module is approximately 3.5 hours and those hours were spread over 3 weeks, so about an hour for each class. Classes are made up of PowerPoint lectures (all live so you can questions), discussion, and tea tastings. I learned how to prepare all different types of tea. The gaiwan is the trickiest since I kept burning my fingers through the process. One of the things I learned was knowing what to look for when evaluating a tea. The tea brewing classes were my favorite. There were so many little steps in the process that I didn’t even know to look for before the this course. All the tea brewed were in the box that was sent after I registered for the course. We evaluate the dry tea, the wet tea leaves, note the prices, the water temperature, what vessel was used, and tasting notes. Everything is jotted down and filed. The first time I did a tea tasting and assessment, it took an hour and a half, since I had to stop and take assessment notes. By the time I got the hang of it, I was able to do it in 20 minutes. Each module ends with an open book exam that you take on your own time. This is a doozy. The final exam is a tasting to identify 12 unlabeled teas. YES, I KNOW. 12 numbered red foil envelopes arrive when it’s time for the final exam. You can’t open anything and must wait until you’re on Skype with the instructor. Over the course of two hours (YUP, TWO HOURS), the final exam took place. 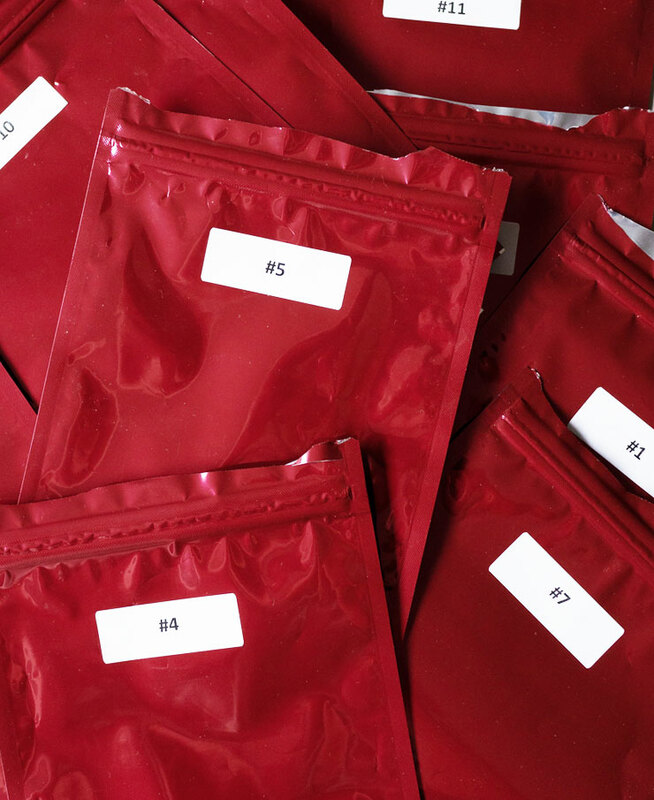 The instructor would let me know which numbered bag to open and I had to brew each one correctly, taste, then let the instructor know what kind of tea it was. The instructor doesn’t give anything away so I wasn’t sure if I got ANY right. I knew for sure I got most of it right, but the black teas were a little tricky. Was bag number four a black tea from Sri Lanka or India? It was exhausting but it was fun, especially since I got to compare notes with Sara and Georgia after they had taken their exams. A few weeks later, I received my test results. I PASSED! YAY!!! And a little while later, I got my certificate mailed to me. 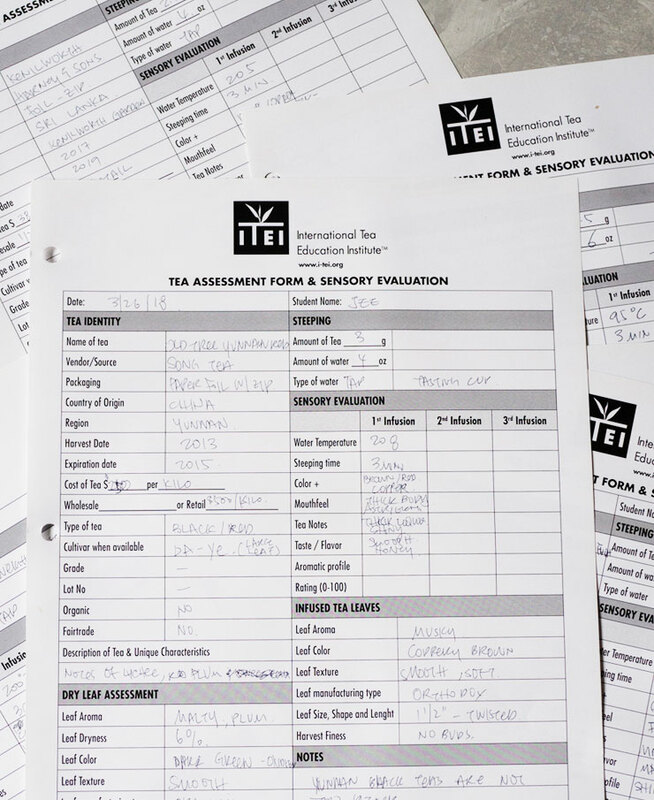 This is the final exam the ITEI way, but each school does theirs differently. Now that I have my certification, what happens next? Drinking and brewing A LOT of tea. For me, the tea sommelier course was just the foundation and just the start of learning about tea. There’s so much to learn and never enough time. 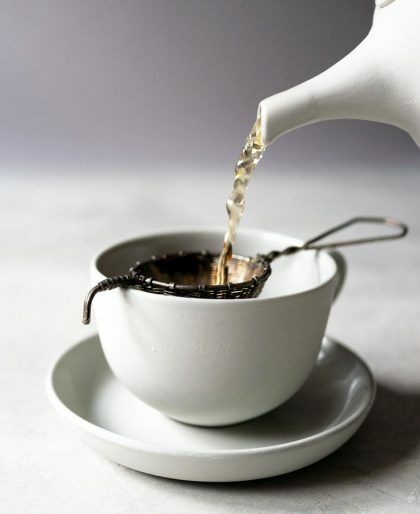 On the final exam, I found black tea to be my weakest area of expertise, so a recommendation from my instructor is to drink black tea for several weeks, focusing on one tea each week. During the course and on the exams, I aced Japanese green tea. That’s because I drink that the most out of any other type of tea. I’m the most familiar with it since there were times when I would only drink genmaicha or hojicha for months at a time. I need to do the same with black tea. I’ll pick one black tea and ONLY drink that for an entire week. The next week, I’ll select another black tea and only drink that. It should definitely help me get a better grasp on tasting black tea. From the time I registered for the course and until I got the certificate, it took me two years. I did take a few months off but it’s not a course you can finish in a couple of months. It takes time to take in all the information, in practicing how to brew properly, and learning to differentiate the different types of tea. 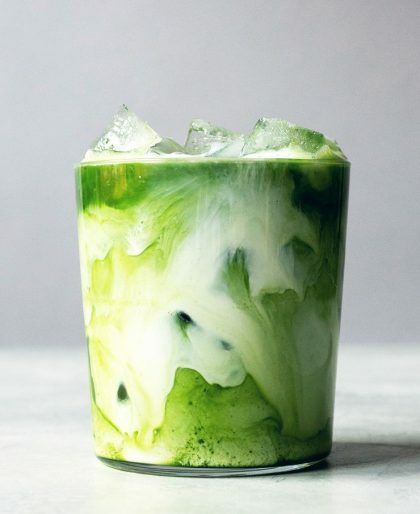 If you’re seriously interested in learning more about tea, and especially about pairing food with tea in a structured program, I would highly recommend taking a tea sommelier course. But don’t go in thinking you’ll graduate knowing everything there is to know about tea, because you won’t — that’s pretty much impossible. I got a ton out of it and loved my experience. Subscribe to get the latest posts, recipes, and news to your email. I am happy to have taken this course with my tea buds! It made the experience so much better being in it together! 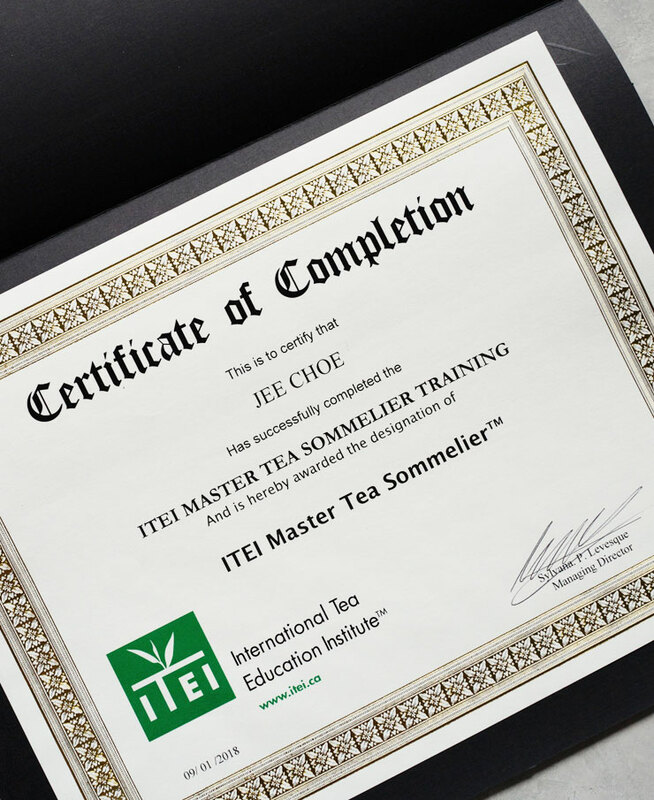 We could not have explained all the steps to ITEI Tea Sommelier training and certification program better than Jee. It’s always nice to hear Alumni comments and Jee’s dynamism and curiosity in tea were amazing throughout the course. Thank you for sharing and wish you all the best on the tea education long path.